This, our fiftieth issue of Pi Weekly comes to you a few days late due to the general busy nature of Ben and Ryan. This weekend Ben headed North for the Manchester Girl Geeks Barcamp, affectionately known as Bracamp. 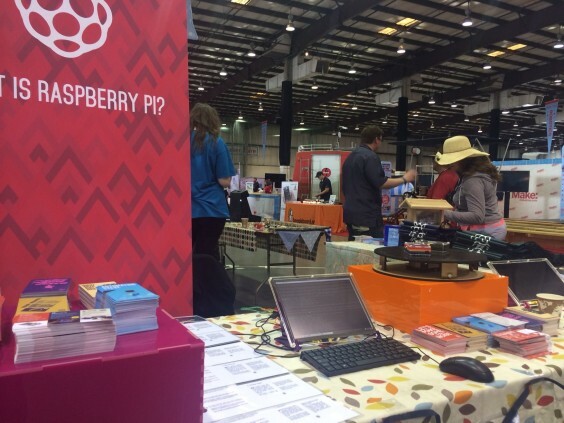 A very enjoyable event of talks, discussions and demos – Ben and Rachel put on a stand promoting Raspberry Pi. This week the Raspberry Pi education team is running workshops at the Cheltenham Science Festival, from Thursday to Saturday.